This paper describes a practical algorithm for the problem of geometric theorem proving. 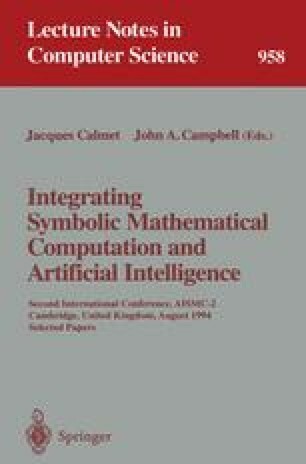 Our work is motivated by several recent improvements in algorithms for sign determination and symbolic-numeric computation. Based on these, we provide an algorithm for solving triangular systems efficiently using straight-line program arithmetic. The geometric theorem prover so obtained works over both real closed and algebraic closed fields and handles the problem of degeneracy via the use of randomisation. The report concludes with a description of an implementation and provides preliminary benchmarks from the same.